Stylish men wear fedoras. This one will keep him classy and cool as he goes about his day. 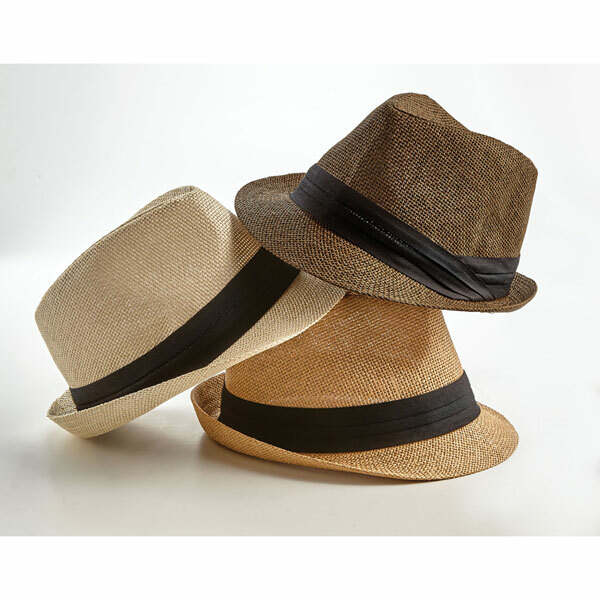 Made from rice-paper straw, it has traditional lines and a 2" brim. A pleated black band wraps around the crown. Inside, an elastic band ensures a comfortable fit. Sizes S-XL. Imported. Choose Brown, Ivory or Tan.